We are a Northern California based 19th century reenactment band. We perform period music on original (150+ year old) instruments at events throughout Northern California and Northern Nevada. 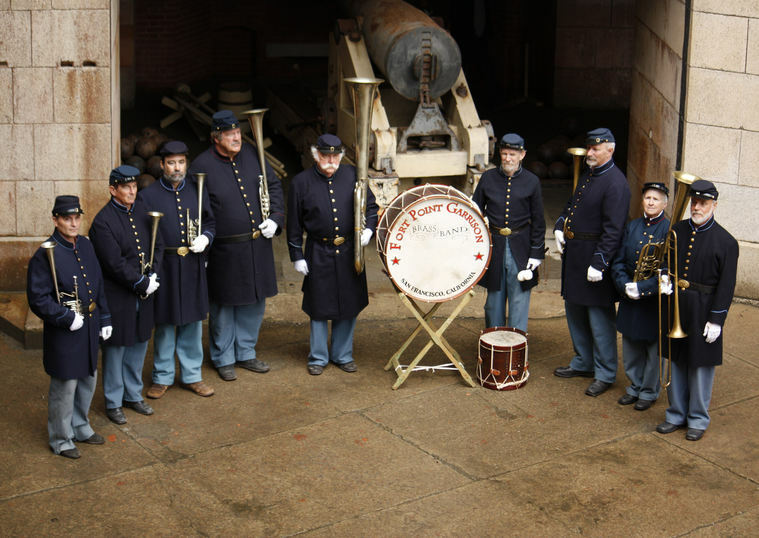 We reenact both military and civilian brass bands from the California Gold Rush era, the American Civil War era (both Union & Confederate bands), and bands of the American Indian War era. Please contact us if you would like us to perform at your event. 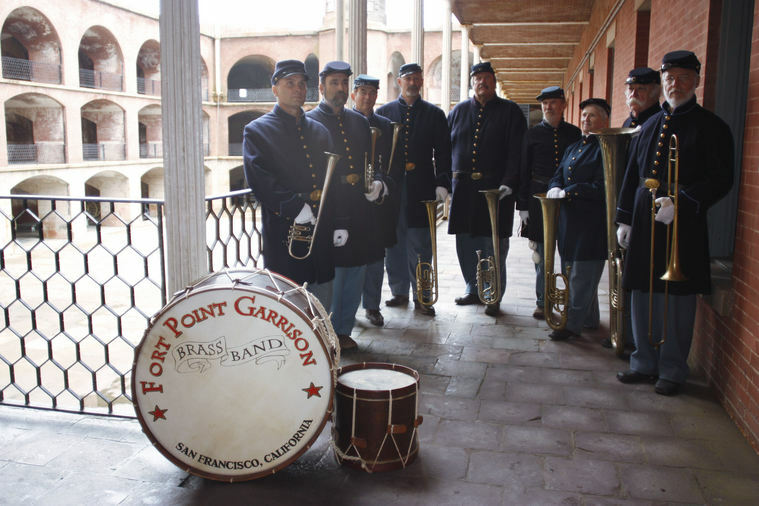 Visually and musically portray an authentic 19th Century American Brass Band. Educate audiences on the history of bands, instruments, musicians, and their daily life during this era. Preserve, strengthen & promote traditional American Brass Band music. Acquire and use period appropriate music, uniforms, instruments, and equipment. 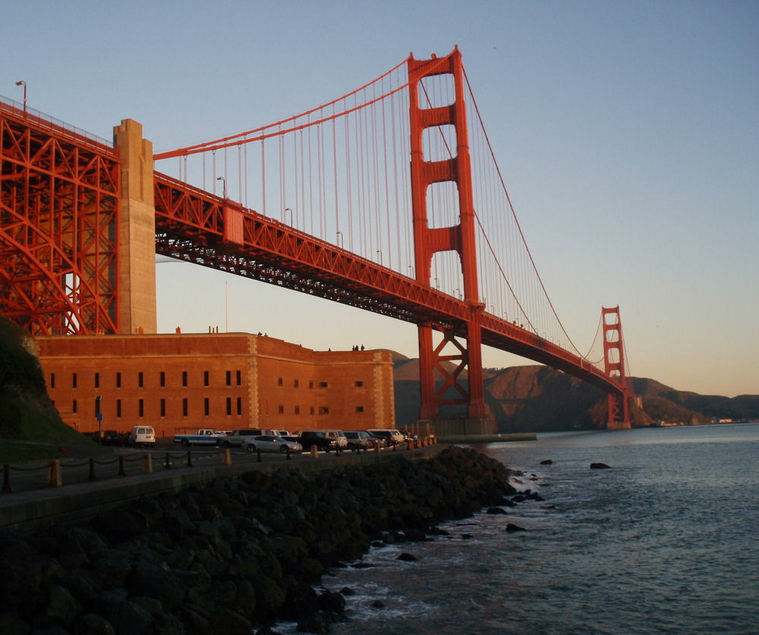 Research and recognize the role of brass bands in California history. We would like to add more events (gigs) to our calendar. If you are interested in inviting us to an event, or know of an event that would welcome our attendance, please contact us. We are seeking to expand our 19th century brass wind instrument collection. We are especially interested in the type on instruments that you see on our "Instruments" page. Please contact us if you think that you have an instrument that might interest us. We are always seeking musicians to add to our group. If you, or someone you know, would be interested in joining our band, please contact us and read our Procedures for Joining The Ranks.